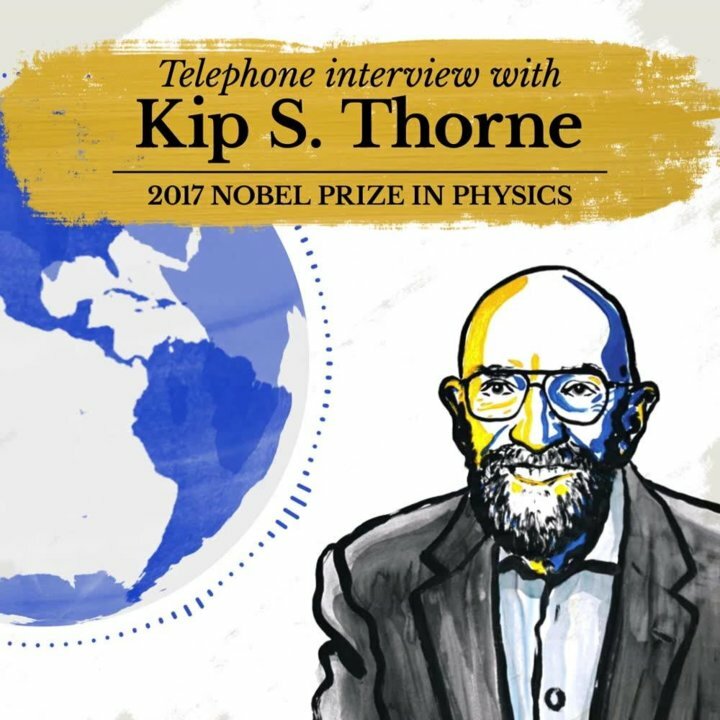 Telephone interview with Kip S. Thorne following the announcement of the 2017 Nobel Prize in Physics, 3 October 2017. The interviewer is Adam Smith, Chief Scientific Officer of Nobel Media. In the interview, Kip S. Thorne reflects on how this year’s Nobel Prize in Physics was a remarkable team effort. [Adam Smith] Good morning, my name is Adam Smith calling from Nobelprize.org, the website of the Nobel Prize in Stockholm. 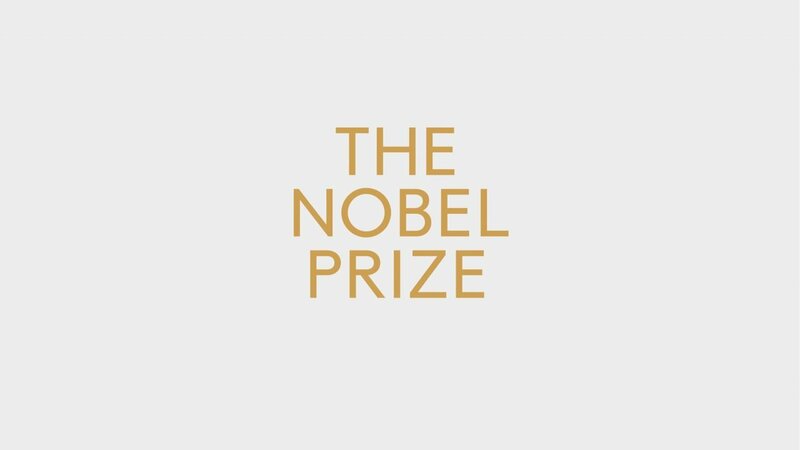 First of all congratulations on the award of this year’s Nobel Prize. KT: Thank you very much. AS: It could hardly have come any quicker. The announcement was just last year. KT: Yes, that’s right. It is amazingly quick. AS: Einstein himself probably didn’t think that gravitational waves could be recorded. But you have always been a believer I gather? KT: Well I have been a believer but I began … I’m much younger than Einstein and by the time I came along there were lasers, there were massive computers, technology had changed, and our understanding of possible sources of gravitational waves had changed. Neutron stars and black holes which should be the strongest sources, Einstein had none of that to base his ideas on. So, yes, in his seminal paper on gravitational waves he indicated skepticism that gravitational waves would ever be detected. AS: And they open a new window on the universe. What will we be able to see now that we can detect gravitational waves? KT: I think over the coming decades we will see enormous numbers of things. Just as electromagnetic astronomy was begun in essence, at least modern astronomy, by Galileo pointing his telescope in the sky and discovering Jupiter’s moons. This is the same thing but for gravitational waves. This is … Gravitational waves are the only other kind of wave, besides electromagnetic that propagate across the universe, bringing us information about the universe, so initially we will see not just binary black holes. We will see neutron stars collide, tear each other apart, we will see black holes tearing neutron stars apart, we will see spinning neutron stars, pulsars, when the space-based LISA mission is operating hopefully by about 2030, we’ll be exploring basically the birth of the universe, the earliest moments of the universe. And there will ever so much more I’m sure, including huge surprises, as the years wear on. AS: Talking of surprises, the one that you’ve just received, how did the news come to you? KT: Well I think it was not unexpected that this opening gravitational wave window onto the universe would get a Nobel Prize. I was hoping that the prize would go to the LIGO-Virgo collaboration, which made the discovery, or to the LIGO laboratory, the scientists of the LIGO laboratory, who designed and built and perfected the gravitational wave detectors and not to Barish, Weiss and me. We live in an era where some huge discoveries are really the result of giant collaborations, with major contributions coming from very large numbers of people. 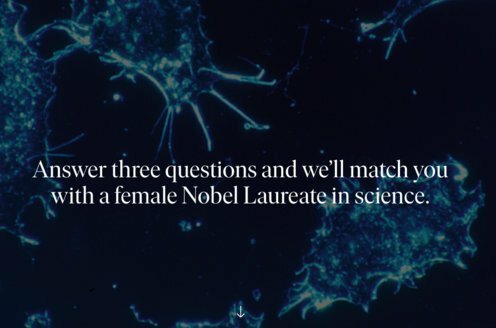 I hope that in the future the Nobel Prize committee finds a way to award the prize to the large collaborations that make this and not just to the people who may have been seminal to the beginning of the project, as we were. AS: That I guess is a conversation and a debate that is going to run and run, yes. KT: I feel that I’m an icon for the LIGO-Virgo collaboration and the LIGO laboratory and I’m pleased to be that icon and represent what they have achieved. AS: That’s nicely said. So will we be welcoming you to Stockholm in December then? AS: [laughs] Good. Once again congratulations and we greatly look forward to meeting you in December.